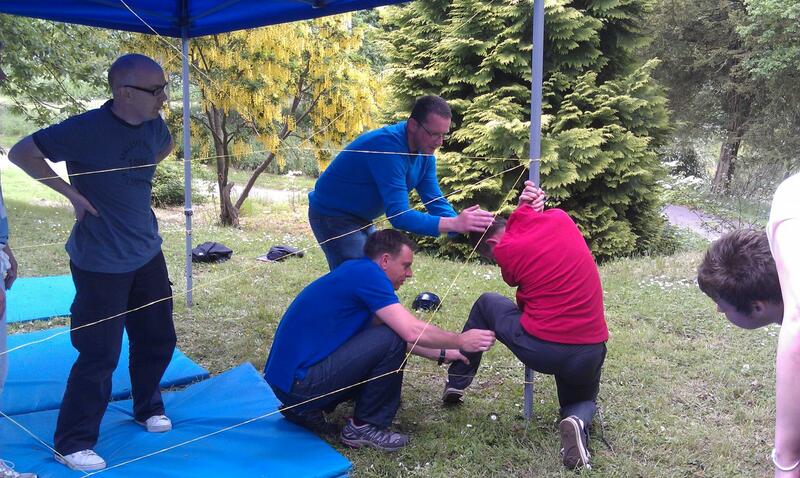 Another challenge where the teams had a chance to score was Spiders Web. Team 7 were our shining stars of this activity, especially Lynne who remained gracious while being lifted through the web! 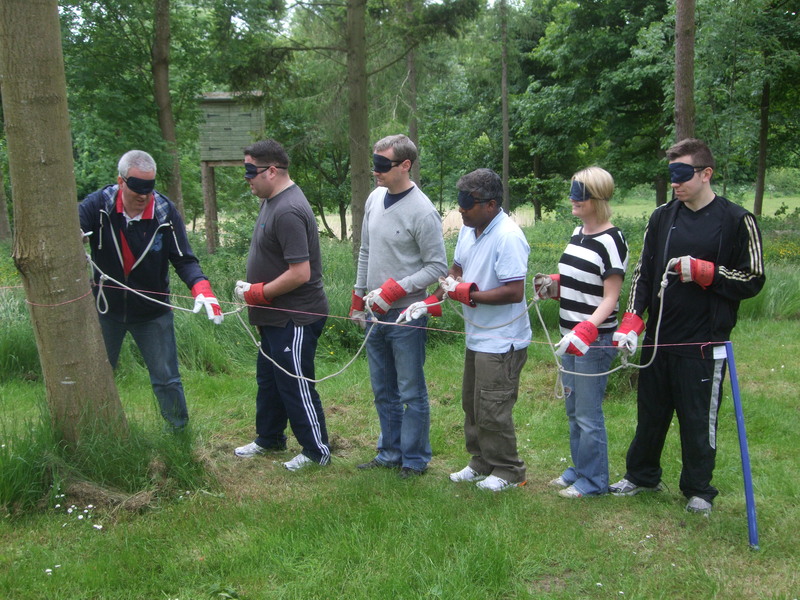 Team 5 made the mistake of leaving their biggest team members until the end when they were out of time!On our third challenge Blind Intent out teams were challenged with setting up a tent while blindfolded! Team 3 are clearly avid campers as they managed the quickest time of the day! 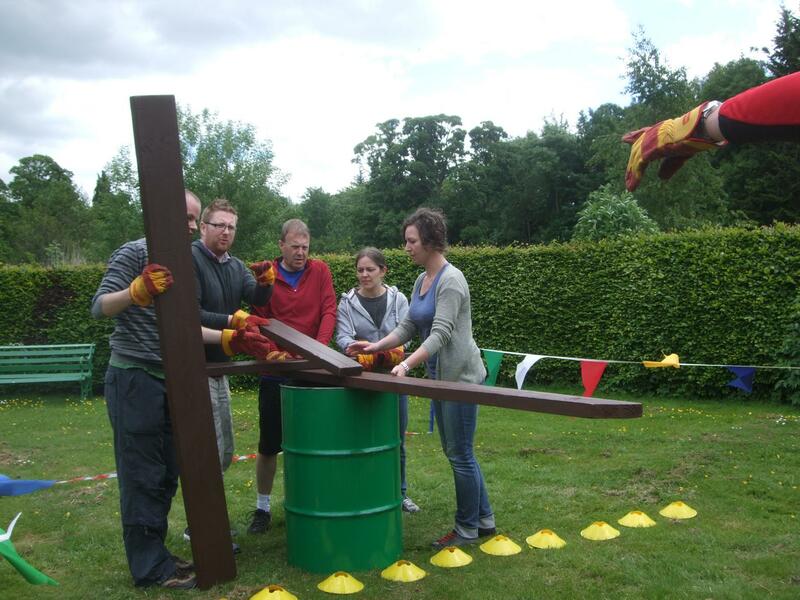 Also, team 4 stood out because of the amount of innuendos being used on this activity! 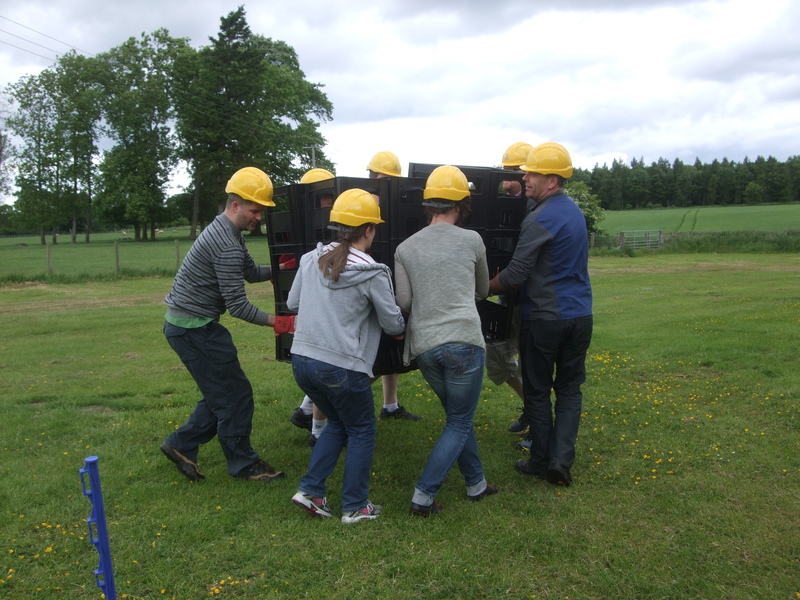 On our new activity Crates, team 1 were successful and gained maximum points because they managed to pull off a far fetched plan to remove all the crates in one attempt! 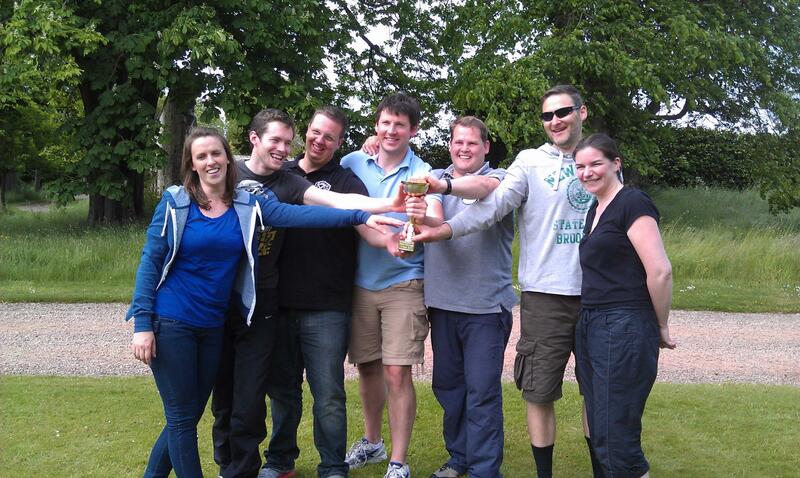 Well done team one! "Wow Denise we did it again! We survived another year of madness and even introduced one or two new events to the team. It's always a pleasure to work with your team and to greet the new as well as the familiar faces along to our events. We already look forward to the next set! SJ"